The need for a house appraisal or commercial real estate appraisal has become more common in litigation proceedings. Aspen Appraisal Group has provided litigation support as well as expert witness services, in the form of a house appraisal or commercial real estate appraisal, for individuals and entities such as government agencies, financial institutions, and legal/accounting firms. We are committed to discretion and professionalism, as well as producing the highest quality house or commercial real estate appraisal. Our Chief Appraiser, Matt Frentheway, has extensive experience in dealing with local and prestigious Family Law Firms when it comes to legal proceedings related to property value. Indeed, a large number of Family Law Firms, Accountants, and Mediation Advisors rely on Aspen Appraisal Group for our opinion of values when formulating real estate property values during legal disputes requiring a value being placed on property. 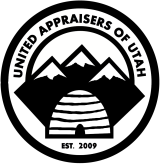 These professionals know that they can count on the Aspen Appraisal Group to follow the strict ethics provision within the Uniform Standards of Professional Appraisal Practice (USPAP) and generate an accurate property valuation report. Call today with any questions you might have or to schedule an appointment. You can also receive a free quote by clicking here. If you aren’t sold yet, see what others are saying about Aspen Appraisal Group by clicking here.